Teal (Anas crecca). Male. Taken at Slimbridge, Gloucs., on January 17th 2019. Teal (Anas crecca). Female. Taken at Titchwell Marsh, Norfolk, on October 24th 2015. Female. Taken at Titchwell Marsh, Norfolk, on October 24th 2015. Teals are small dabbling ducks. Males have chestnut coloured heads with broad green eye-patches, a spotted chest, grey flanks and a black edged yellow tail. Females are mottled brown. Both show bright green wing patches in flight. 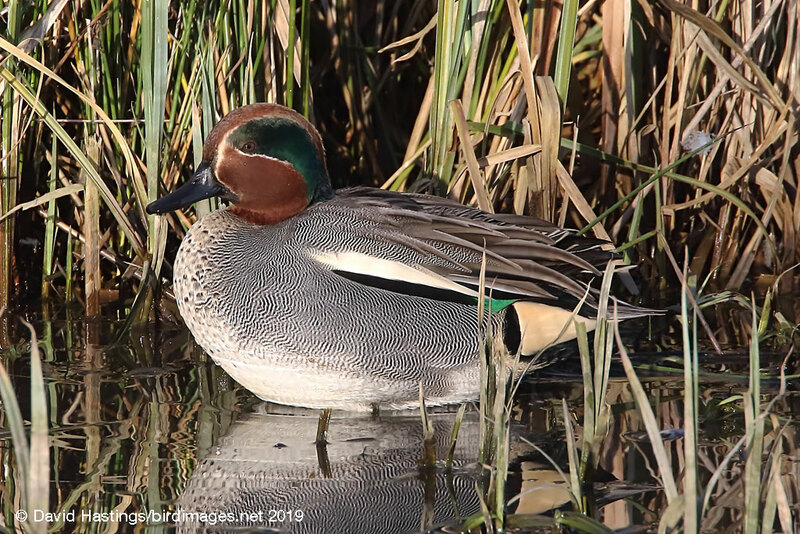 Teal can be found throughout the British Isles. They favour northern moors and mires for breeding. In winter birds congregate in low-lying wetlands in the south and west. 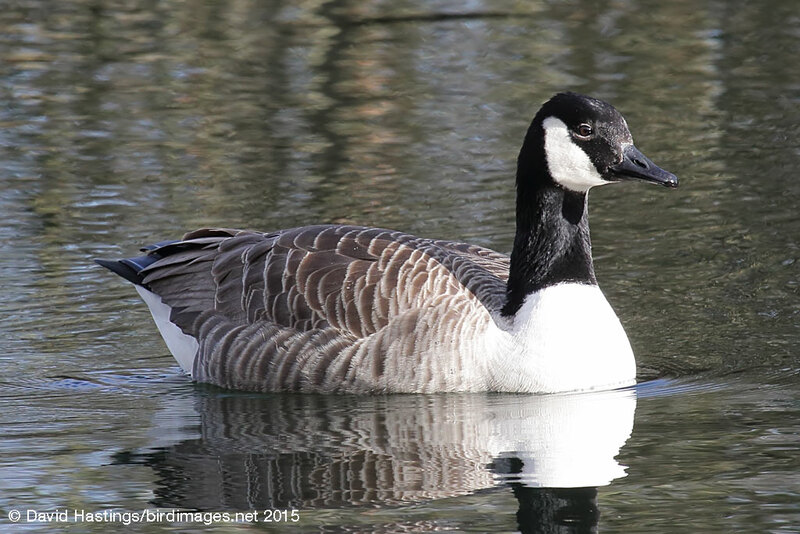 Many continental birds spend the winter in Britain. This is an Amber-list species because the UK is home to a significant percentage of the NW European wintering population.